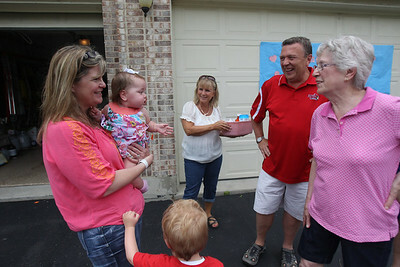 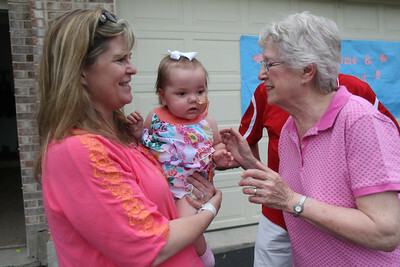 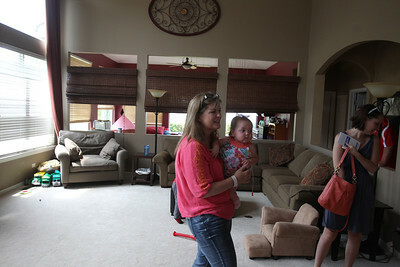 Sarah Nader- snader@shawmedia.com Danielle Bockman, a one-year-old girl, who recently received a heart transplant sits on her aunts lap while friends, family and neighbors welcomed her home after spending three months in the hospital Saturday, June 21, 2014 in Algonquin. 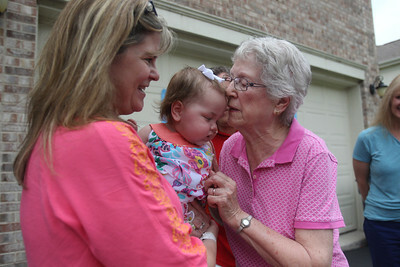 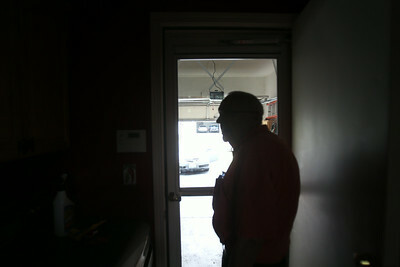 Bockman's time in the hospital was spent waiting for the transplant, which came on May 13, and recovering from surgery. 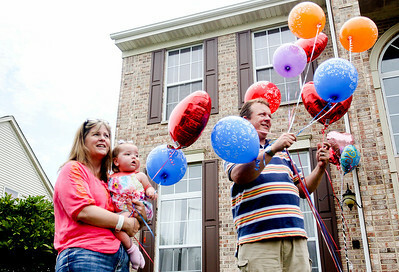 Sarah Nader- snader@shawmedia.com Susan Bockman (left) holds her daughter, Danielle, 1, while her husband, Dave, releases balloons during a welcome home celebration for Danielle at their Algonquin home Saturday, June 21, 2014. 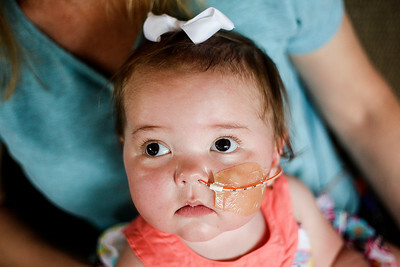 Danielle recently received a heart transplant and spent three months in the hospital. 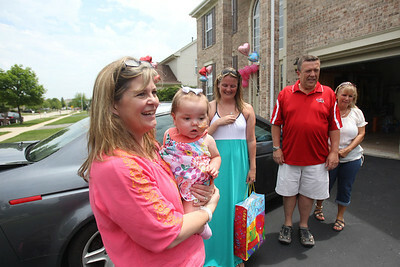 Sarah Nader- snader@shawmedia.com Dave Bockman kisses his daughter, Danielle Bockman, 1, during a welcome home celebration for Danielle at their home in Algonquin Saturday, June 21, 2014. 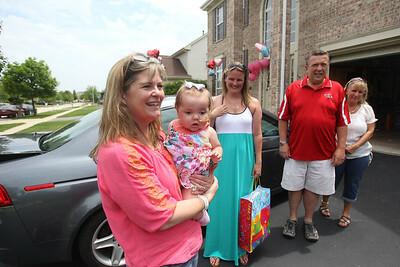 Danielle recently received a heart transplant and spent three months in the hospital.